Comfort is one of the most vital aspects to consider when selecting a wig. You should never buy a wig that will be so uncomfortable you’ll be tempted to rip it off your head in public. Too tight and you might get headaches, too loose and you’ll risk it being blown away by wind. Wigs are popular because they are reusable. Check the maintenance instruction manual of the wig to see if you can preserve it with simple co-washing and air drying. Poor quality wigs may not survive the cleaning routine, so you should settle for nothing but the best. It’s even better to get a wig with detailed care instructions attached. A versatile wig is one you can transform with a little brushing here and a little pinning there. Basically, you should be able to achieve different looks with that one wig. Your styling options may be limited by the length, texture, and quality of the hair, so you should always take that into consideration. You don’t have to spend a crazy amount of money to get great wigs. 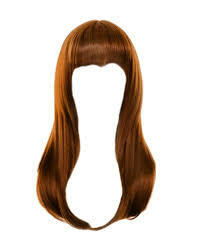 The key thing is finding the right place to get quality wigs at a great price. It is important to note that while the price of the hair shouldn’t be astronomical, you might have to spend a little more than you planned if you are after high-quality pieces. You should only buy Wigs that look good on you. It is possible to find some high-quality, extremely beautiful wigs only to be shocked because they don’t look good on you.